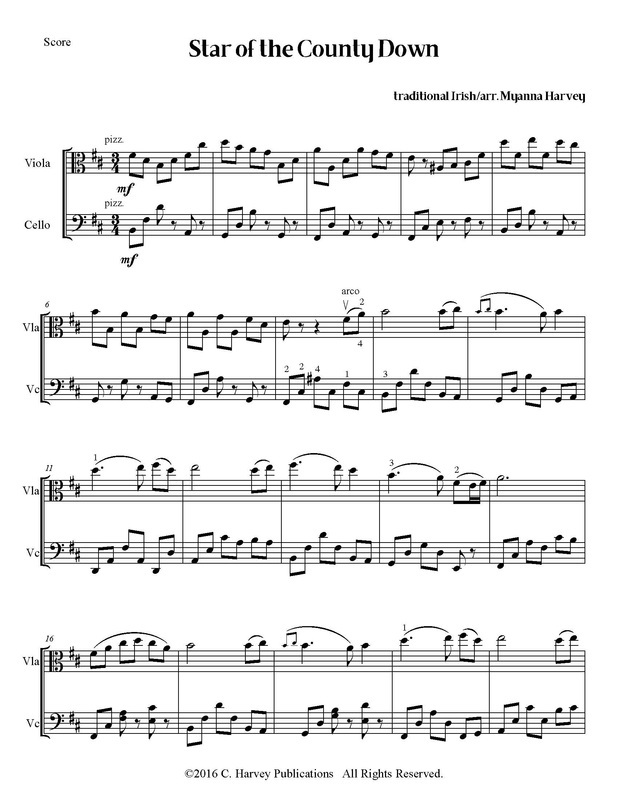 Myanna Harvey's arrangement of this beautiful Irish tune for viola and cello duet gives musicians lyrical melodies interwoven with accompanying pizzicato sections. The viola part reaches and the cello part uses thumb position. Myanna & Cassia Harvey - Star of the County Down (for Viola and Cello) from Abner Diaz on Vimeo.